BankCard USA supports Apple Pay for merchants. 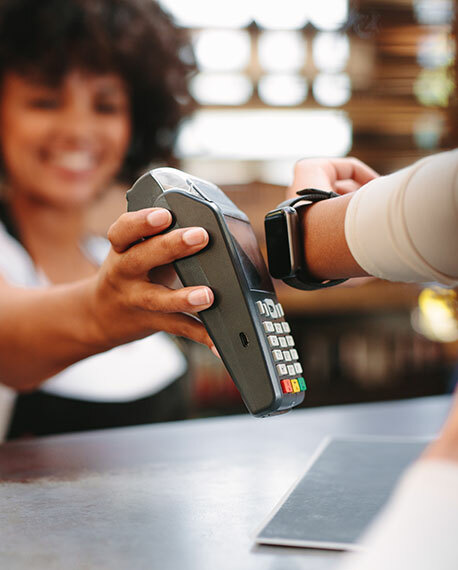 Apple Pay is changing the way consumers pay with breakthrough contactless payment technology and unique security features built right into Apple mobile devices. With Apple Pay, paying in stores happens in one natural motion—with no need for a card swipe, thanks to Near Field Communication (NFC) technology. It’s safer than swiping because customer card data is substituted with non-sensitive tokens. Real card numbers never enter your database, Apple's database or any channel in between. They remain indecipherable until they reach your payment processor, who keeps a secure token vault holding the real card numbers for each token. Join the millions of stores offering the ultimate customer convenience, speed up your checkout line, and start accepting Apple Pay today. Call us at 1.800.589.8200 or click below to get started.